I am a student of the dark arts. I have been practicing witchcraft since I was 16. At this time I do not have a particular path that I follow as I am still continuing to learn about the various paths out there until such a thing can be determined. 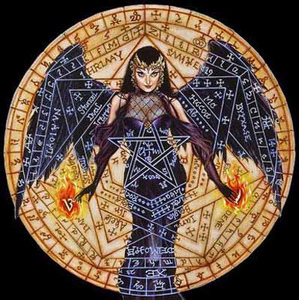 I have knowledge of divination, meditation, herbs, gems, spells, spirits, grimoires, potions, dreams and curses. "The world is a dream and I am the dreamer. To awake in the dream is the purpose of life. The dreamer awake is the human enlightened. A master of power beyond mortal strife." I will not do spells for you. So, please don't ask.